In aletter to Senator Robert Casey, the Federal Housing Finance Agency said ithalted mortgage giant Freddie Mac’s controversial trades because they required specializedrisk management. Freddie Mac’s regulator gave new detail today on why it halted the company’s controversial trades in complex mortgage-backed securities last year. In a letter to Senator Robert Casey (D-Pa), the Federal Housing Finance Agency said the trades were risky and required specialized risk management. ProPublica and NPR reported on Monday that Freddie Mac, the taxpayer-owned mortgage giant, placed multibillion-dollar bets that pay off if homeowners stay trapped in expensive mortgages with interest rates well above current rates. 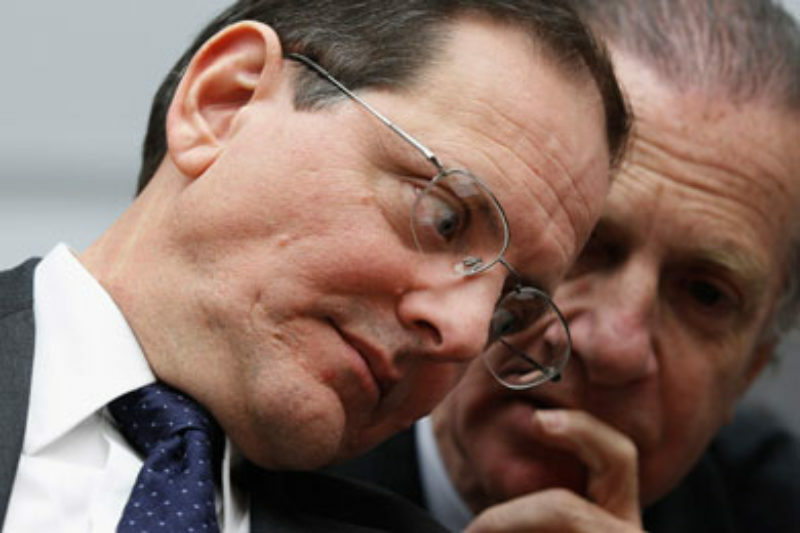 With Freddie in government conservatorship, the FHFA is more than its regulator. It also acts essentially as its board of directors. “FHFA’s concerns arose through its supervisory process, which found that the risk associated with these transactions is inconsistent with FHFA’s goals of having Freddie Mac reduce its risk profile and avoid unnecessary complexity that requires specialized risk management practices,” FHFA acting director Edward DeMarco wrote. As part of the government bailout, Freddie and its sister company Fannie Mae were required to sell down their investment portfolios every year. In the mortgage-backed securities transactions at issue, known as inverse floaters, ProPublica and NPR reported that Freddie had sold off some investments yet retained most of the risk – possibly violating the spirit, if not the letter, of the government agreement. Freddie is below the portfolio threshold mandated by the government agreement. It is unclear if DeMarco was referring to the portfolio-reduction mandate that Freddie operates under. FHFA didn’t respond to a request for comment about the letter to Senator Casey. Senator Casey was not satisfied with the response from FHFA, according to a congressional staffer, because questions remain unanswered. According to the FHFA, Freddie has ceased making new inverse floater investments. However, the agency says that Freddie retains $5 billion of these investments on its books. They continue to require the same “specialized risk management” that prompted the FHFA to halt any new inverse floater deals, raising the question of whether the FHFA will force Freddie to sell them.